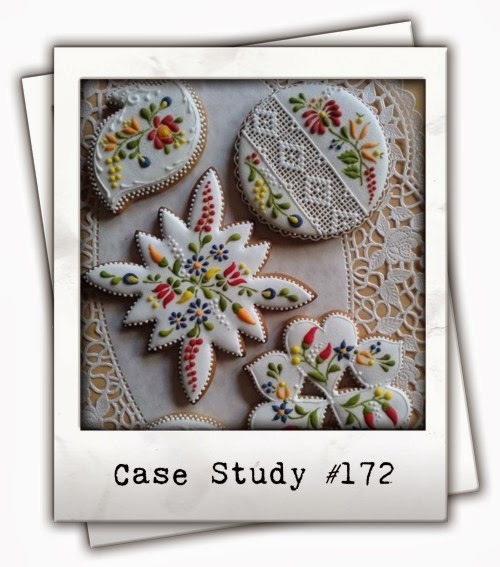 Jennifer McGuire showed this really cool technique on her blog a few weeks ago. I have a few wedding cards to make, so I thought I would give it a go. 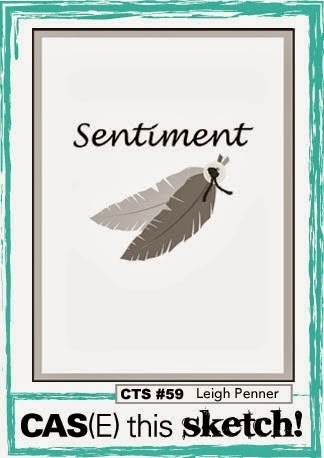 The biggest sentiment I have belongs to a PTI stampset Big Wishes which I have used over and over again and it was just perfect for this technique. 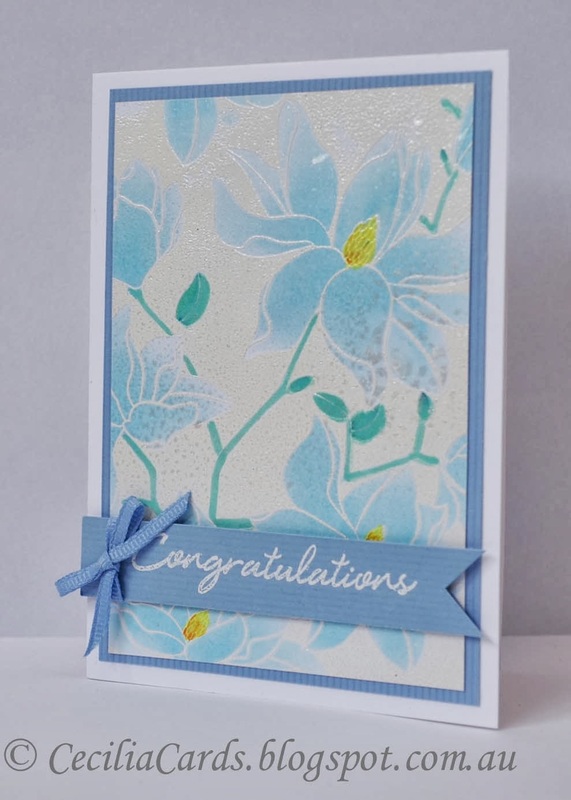 I initially embossed in white on white card.... well it didn't look that good... so I switched to silver EP and Voila, here is my card! The deckled edges are also embossed. I'm going to be off the blogging radar for a little while as I'm going overseas and then coming back for Chinese New Year. I'm involved in a lot of Chinese community events over the two weeks of Chinese New Year, so I will try and get to my craft room whenever I can. 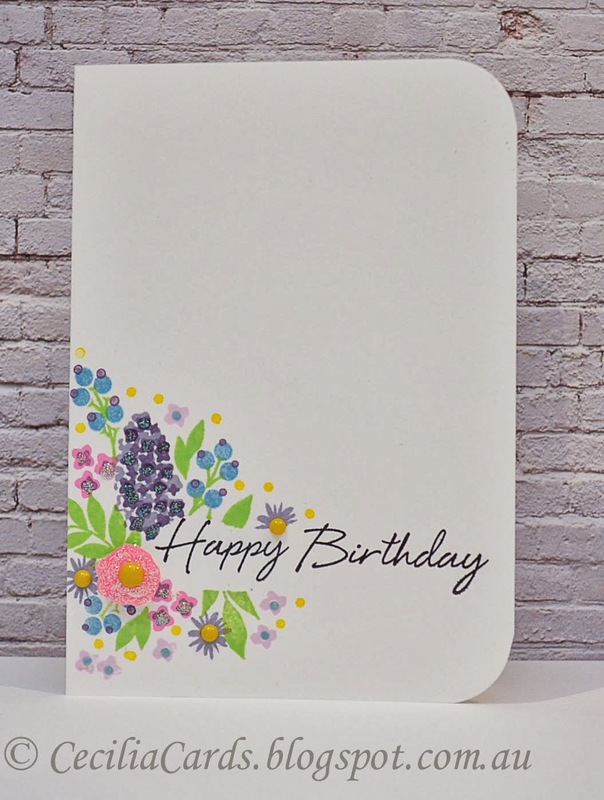 Neenah Solar white, PTI Big Wishes, Lovely Layers and Happiness in Blooms, Versamark, Hero Arts Bubblegum, Passionflower, Soft Granite, Green Hills and Pool, Memento Luxe Dandelion, Pearls from Kaisercraft and decorative ribbon. 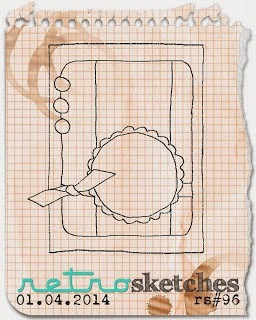 I have a few weddings coming up and when I saw this sketch on CAS(E) this Sketch, I knew what I wanted to do. I white embossed the WPlus9 Fanciful Feathers stamp on vellum and fussy cut the two feathers (I don't have the die). I then decided to use a cream card stock rather than a white as the white on feather looked yellow against the white card. 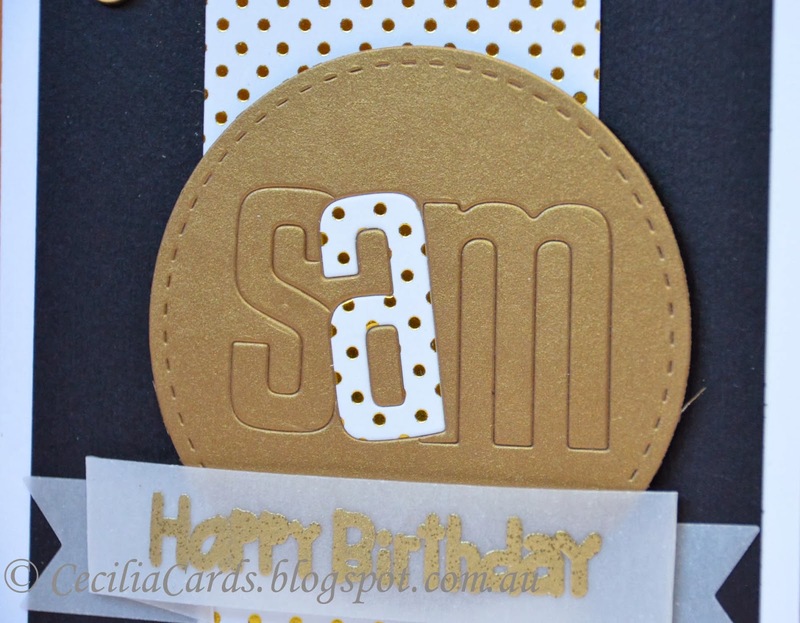 I also embossed the edge and sentiment in gold and added a strip of wash tape. 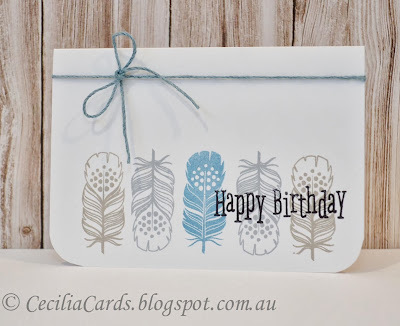 I'm adding this card to Stamploration's January Feathers Challenge. Thanks for dropping by! Neenah Natural White and Solar White, Vellum, MT Tape, White and Gold Embossing Powder, Versamark, WPlus9 Fanciful Feathers and Fresh Cut Florals and gold ribbon. 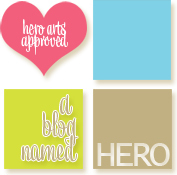 First Hero Arts Scramble for 2014! It's been a while since I've been able to join in a HA Flickr group 90 minute scramble. The last few were not suitable for our timezone. The one held this morning was at 8am AEST which was perfect for me. The host of the scramble posts a challenge at the nominated time and we have 90 minutes to make a card or two and post it to the Flickr group. Sounds like fun? 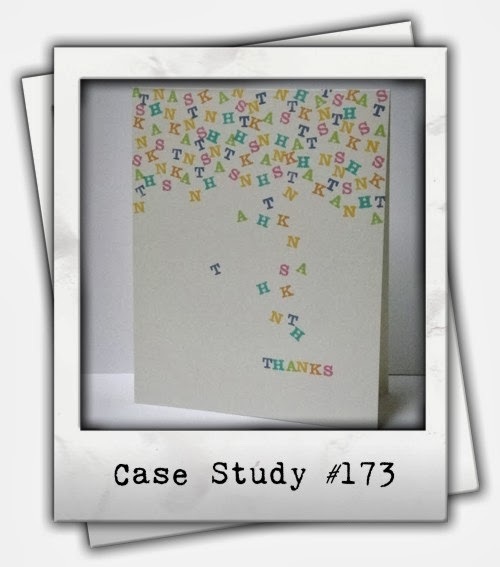 Well, I had a bit of drama as I had made my card within 60 minutes and had a bit of drama trying to upload the photo. The iMac was not communicating with my Nikon! Anyway the iPhone saved the day and I managed to upload the photo right when the bell went! Phew! 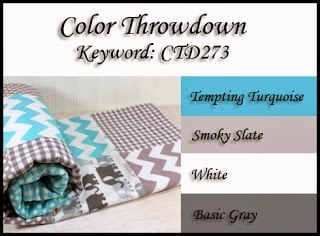 Charlene's challenge was: Something old, something new, something shiny and something blue. 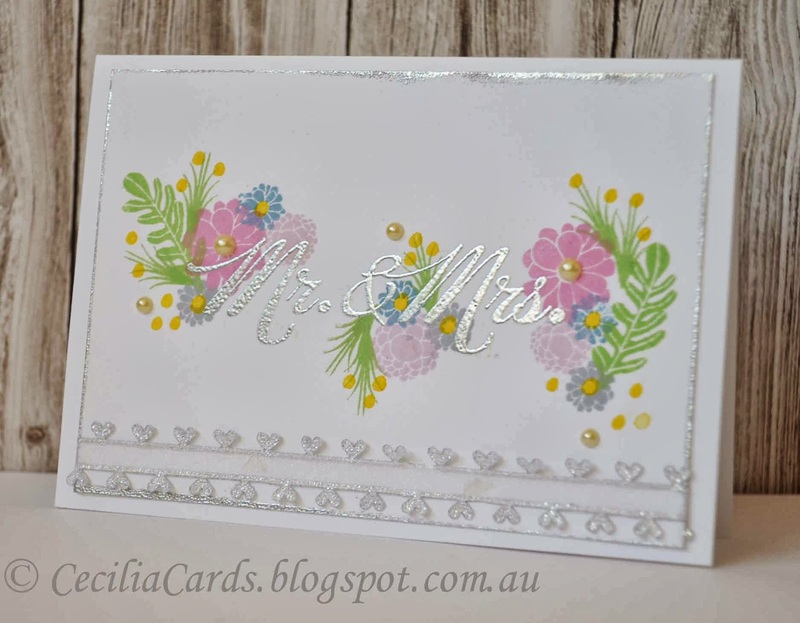 Here is my card made with an old stamp, using my new Faber-Castell Gelatos with Perfect Pearls misted over. It was very hard to capture the sheen on the card, so the photo does not do it justice! Neenah solar white, blue card stock, Xpress It Copic card, HA S5471 CL574, Versamark, White EP, Faber Castell Gelatos - Tropical Set, Copics markers (stems and flower centres), Perfect Pearls and blue ribbon. 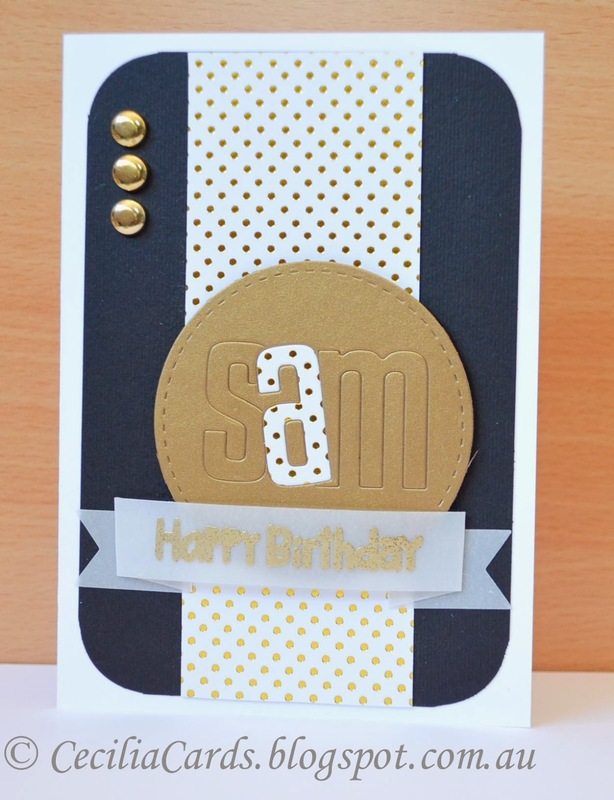 It's so nice to see Fusion Card Challenge back again with two fellow Melbournians on the Design Team! 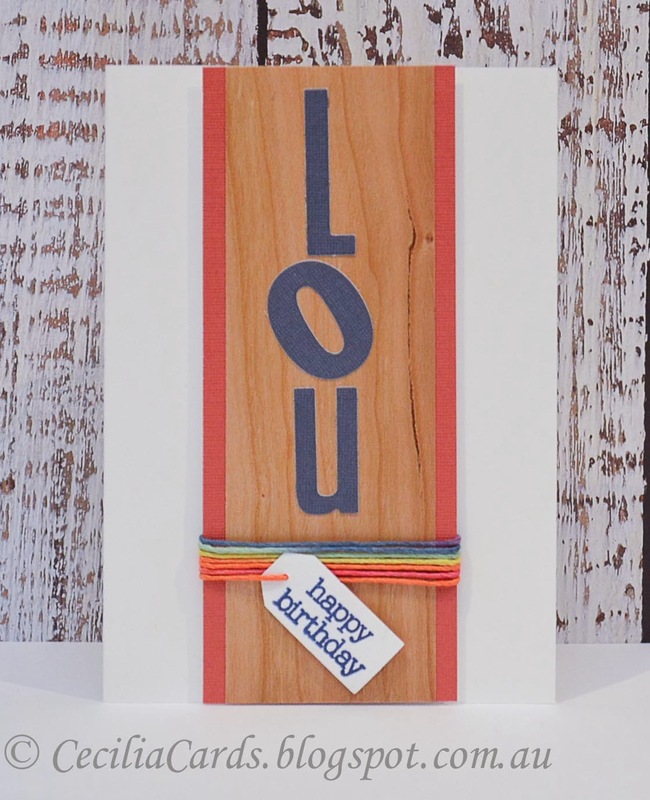 I have a few male birthday cards to make this month and I was struggling with the sketch until I found an A3 sheet of wood veneer paper (perfect for a person who works with wood)! I also used DCWV adhesive mat stack card stock, so handy having an adhesive backing for the wood veneer and the mat card stock! I use die cuts from three different MFT DieNamics Dies for the name, and I had to tilt the 'O' so that they all fit! The lovely hemp cord was bought locally at a pop up shop which normally sells online. I bought it for $8 before Christmas. The same shop sold it for $1 each after Christmas and I missed out, boohoo!! 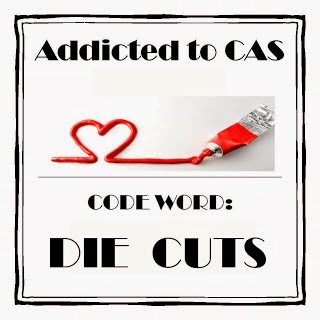 I'm also adding this card to Addicted to CAS#29 - Diecuts. Neenah Solar White, DCWV Adhesive Mat Stack, Wood veneer, HeroArts CL661 and Midtone Navy, Fiskars tag punch, MFT DieNamics Tall alphabets and Numbers and Hemp cord from Hemptique. 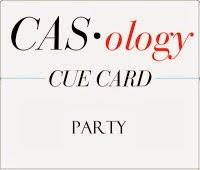 It's so nice to see Donna Mikasa as the January muse on CASE Study Challenge Blog and I love her CAS card which was so fun to make. 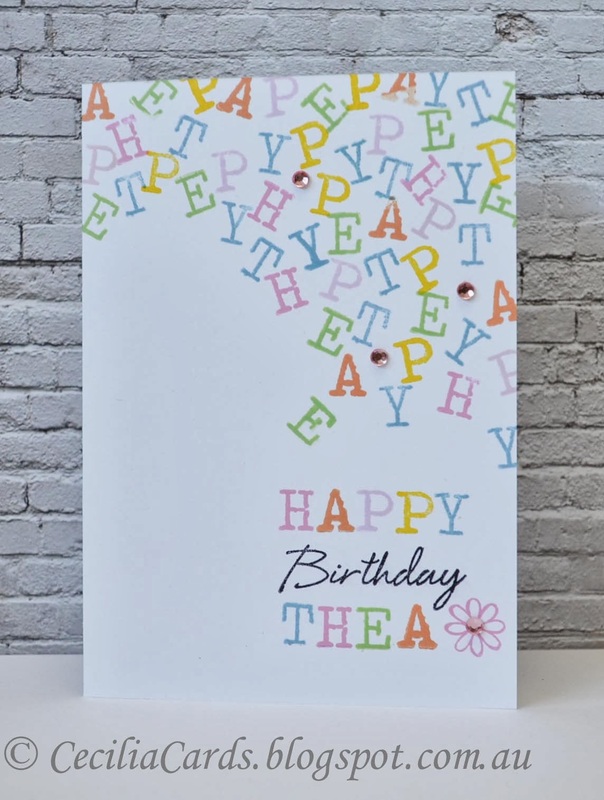 This card is for a little girl whose birthday is coming up. 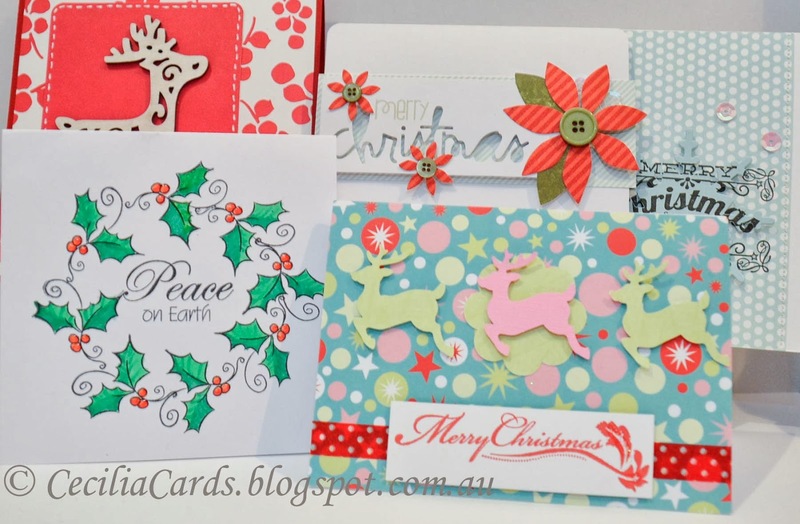 Here is my card and Donna's card below that. Thanks for dropping by! 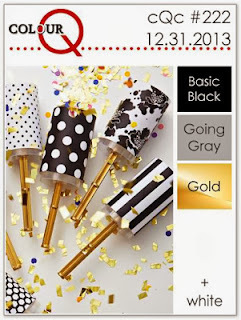 Neenah Solar White, Hero Arts CL497, CL 574, CL492, Green Hills, Passion Flower, Bubble Gum, Orange Soda and Pool, Memento Luxe Dandelion, Ranger Archival Jet Black and rhinestones from Kaisercraft. 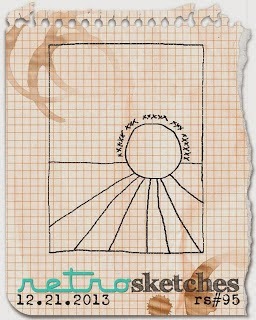 The sketch for CTS#58 has been beckoning me for a while now. I thought I better do a card before it closes tonight. I was very excited when this little beauty arrived a week ago and could not wait to try it out. I've got an order for a wedding card and will definitely use this set again. I only managed to get the stamps but not the dies, so I had to revert to fussy cutting! Thanks for dropping by! Ranger Archival Jet Black - my that's a lot of inks!! 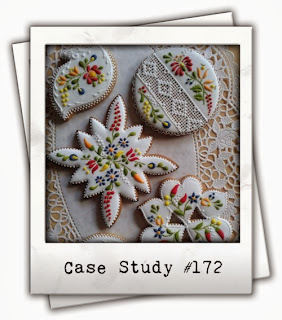 Enamel dots from MME, stickles. 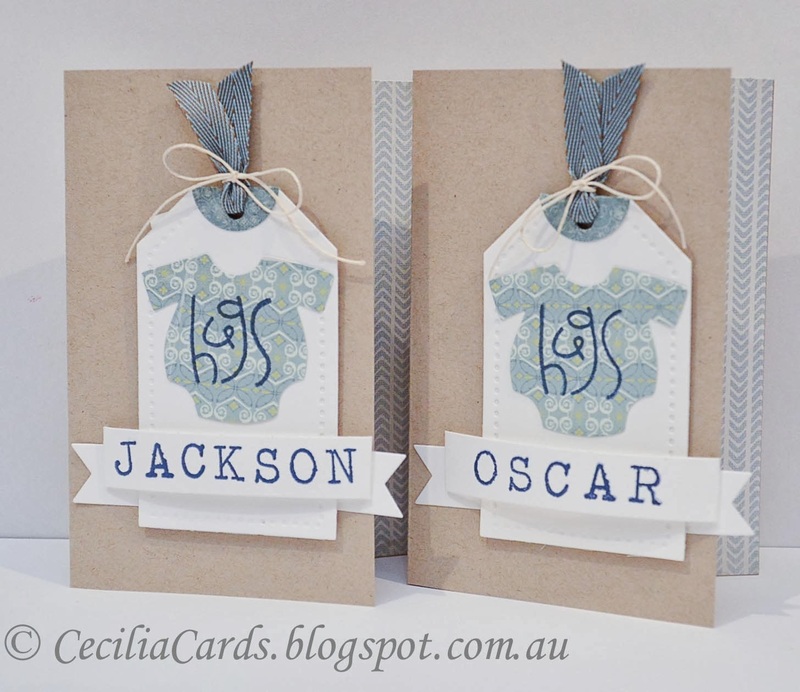 I've got two baby cards to share, both for two families in two different countries. So I thought I would do them both the same. I used my favourite old-time trick of trimming off the front of the card and adhering patterned paper to the inside of the card, I haven't done this in a while. I also let the banner overhang the edge slightly. The 'New' in these cards are for the Newborns of course! Thanks for dropping by. 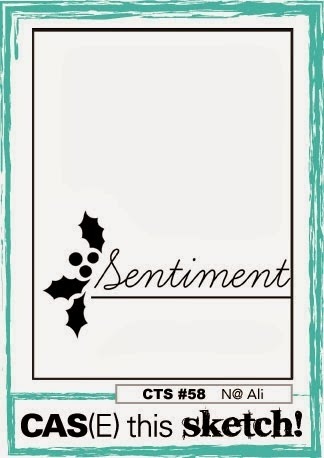 Neenah card stock, PTI Tag Sale die, Paper Smooches Onesie die, Simon Says Stamp banner die, Hero Arts Typewriter letters, Paper Smooches Sentiment Sampler, Hero Arts Navy ink, My Minds Eyes Meadow 6x6, Ribbon and hemp from Hemptique. 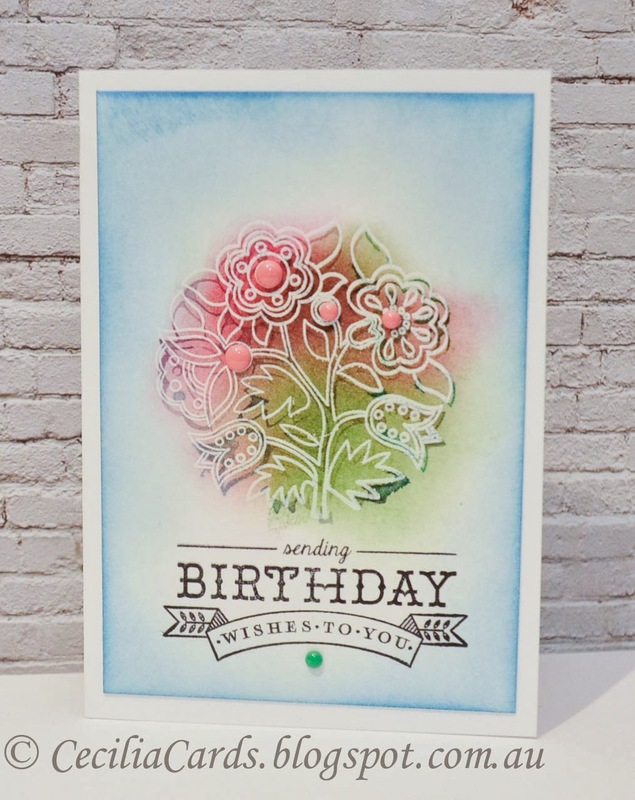 I have a few male birthday cards to make this month, here is one of them, based on the current Retro Sketch #96 , the colours from ColourQ #222 for a party at CASology and Anything Goes at Paper Smooches Sparks Challenge! Thanks for dropping by! Neenah solar white, black and gold card stock, vellum, patterned card from Simon Says Stamp Holiday kit, Paper Smooches Digits stamp, Simon Says Stamp banner die, Lil Inkers Stitched circles die, MFT DieNamics tall alphabet dies, gold brads, gold EP, Versamark. I finally relented and jumped on the bandwagon with the feathers trend. I loved this stamp set ever since I first saw it. It has taken me a while to purchase it as I was trying to get the dies at the same time as the stamps, but anyhow, I've got the stamps without the dies. 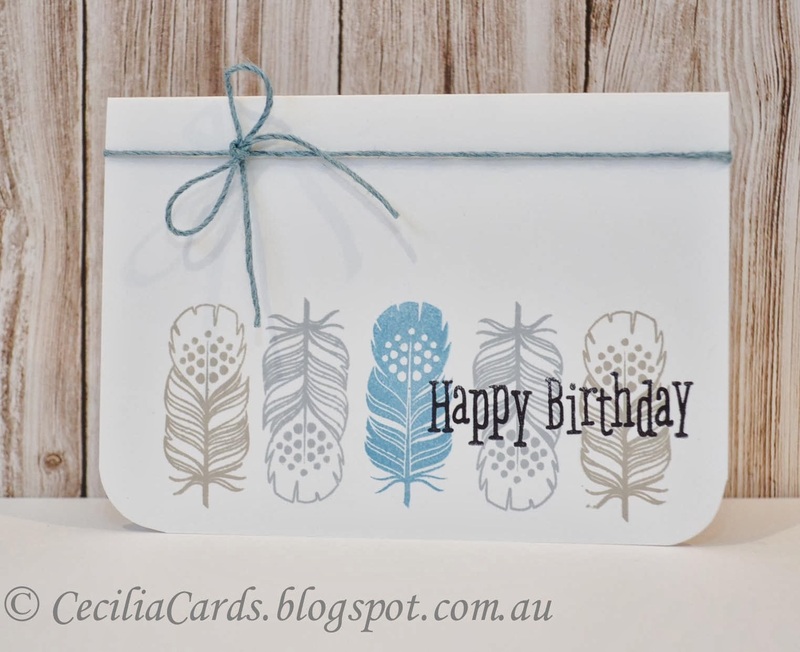 Here is my first card with these lovely feathers! When I was packing away all the Christmas decorations and cards this evening, I put all the handmade ones aside and took a photo. I was so lucky to be the recipient of these lovely cards from (Top L clockwise) Jenny, Lyndal, Chupa, Lara and Michelle. Thank you ladies, I really appreciate them! Neenah Solar White, WPlus9 Fanciful Feathers, Hero Arts CL661, Hero Arts Midtone Inks Wet Cement, Soft Granite and Pool, Ranger Archival Jet Black and True Hemp from Hemtique. I wanted to combine the PTI Make It Monday Angled Background with the current Retro sketch challenges. This card is for my long time Primary school friend's wedding anniversary. 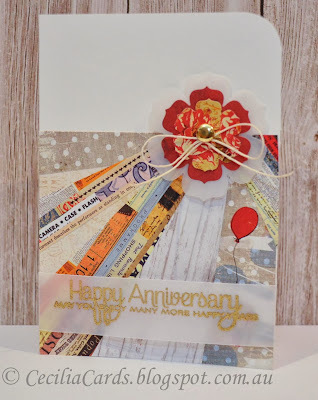 I had the Glitz Yours Truly papers out for a publication call and decided to use the left over strips to do this card. Here is my card and thank you for dropping by! Neenah Solar White, Glitz Design Yours Truly 6x6, heavy vellum, PTI Bloom Dies, PTI Think Big Favourites #24, Versamark, Gold EP, Gold Brad and hemp from Hemptique. It's so nice to do non Christmas card! This is my first one after over a month of Christmas card making!! 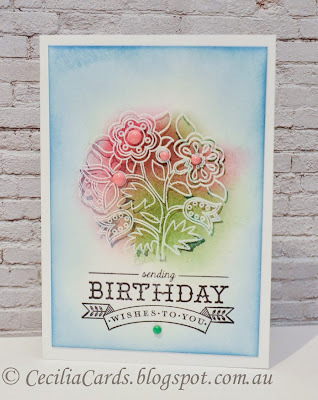 I based this technique on one of PTI's Make It Mondays videos on watercolour embossing, but it never made it before the challenge closed! I also added some sponging to it to emphasise the white embossed image. 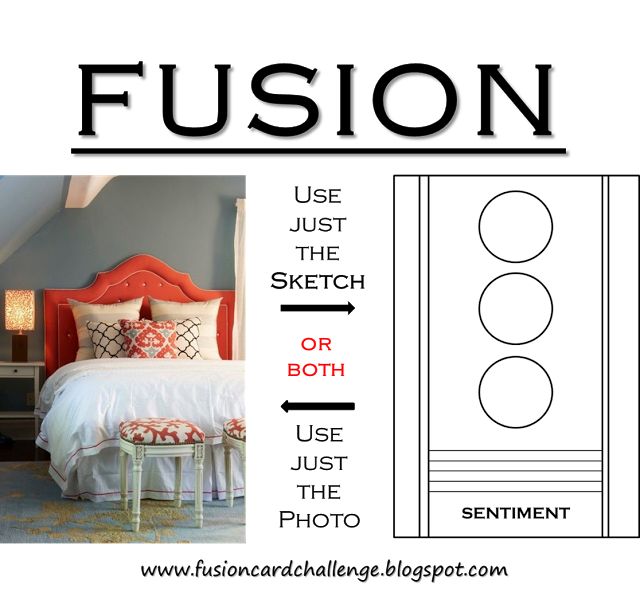 This card is based on a CASE Study photo below. Hope you had a great new year and thanks for dropping by!